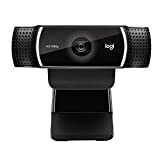 Streamers, live gamers, vloggers, or other professionals in the video streaming niche will require a high-quality webcam for their activities. If you plan on being a streamer, then you’ll definitely need the best webcam for streaming. Of course, you might be a bit confused with all the technical details and specs different brands may offer. To help you out, we’ve created a list of some of the best webcams for live streaming in the market. We also broke them down so you’ll know exactly what each of them is capable of. But before anything else, let us first guide you through the factors you should consider when buying a streaming webcam. The frame rate is one of the most important factors when buying a webcam for streaming purposes. Basically, it determines how many frames per second (FPS) your device is capable of recording. It also determines how smooth the motions are in your video. In case you didn’t know, a video is a collection of still images that are transitioned rapidly that your eyes and brain will translate them into smooth motion. Therefore, the higher FPS your device can churn out, the smoother the video playback will be. Most streaming webcams have a minimum of 30 frames per second. However, if you want a professional-quality recording, you ideally need a webcam with 60 frames per second. Another important factor to consider is the resolution. While frame rate determines the smoothness of your video, the resolution will determine its quality. For a professional-looking video, you’ll want a streaming webcam with a high definition resolution. You’ll normally come across various terms when looking for a webcam with a good resolution such as 720p, HD, 1080p, and 4K. These terms refer to the number of pixels in one given area. As such, the higher the number, the more densely concentrated the pixels are which translates into a better image quality. The best streaming webcams often have 1080p or 4K resolution, making them well-suited for professional streamers and gamers. However, a webcam with a 720p resolution can also work just fine, especially if you’re on a budget. Poor lighting is often the main reason for low-quality videos. Unless you’re an already established streamer, your lighting setup may not be properly lit or ideal for live streaming purposes. While you can correct the issue by ensuring that your room is bright enough, going for a webcam with an automatic lighting correction and color enhancement feature is your best bet. However, keep in mind that it’s not always the best solution, so you still have to make sure your room’s lighting setup is bright enough before you start streaming. The autofocus feature ensures that your webcam can focus on the image regardless of the condition. While you’re less likely to be moving around while streaming, lower quality webcams on the market tend to lose focus even with the slightest movements. A streaming webcam with the autofocus feature will keep the subject in focus regardless of the shifts and movements that may occur. This is ideal especially if you tend to move a lot during your streaming sessions. Even if you invested in a high-resolution camera, the quality of its lens will be another factor that can affect your video’s overall quality. One major difference that sets quality webcams apart from cheaper ones is the quality of their lens. Fortunately, it’s not that hard to decide on which is the best option for a webcam’s lens quality. Generally, you can choose from either glass or plastic lenses. In most cases, you’re better off choosing a camera with a glass lens, although there are also some quality products in the market that use plastic. The C922X Pro Stream from Logitech is the ideal camera for gamers with its high-quality specs. It offers a very sharp 1080p resolution with a 30 FPS frame rate. As such, it has one of the highest resolutions in this list, making it a worthwhile investment as far as quality and resolution are concerned. Albeit a bit too expensive, it does have the specs that make for an excellent streaming camera. Overall, it’s among the best options when it comes to low light performance. Thus, if you’re streaming in an environment with a poor lighting setup, the C922x will make use of any lighting available to give you a clear and high-quality output. It also has a special background removal feature so your game can be placed in the background instead. This allows you to remain as the focal point of your stream instead of your surroundings. Simply use it with a decent gaming PC and you’re all set. 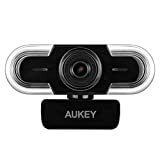 The AUKEY 2k Webcam is your option when it comes to ease of use and quality. It is well-known for its 80-degree field of vision that can show 2 people in the camera. It can also be installed easily on any laptop, desktop, or flatscreen monitor. The Aukey camera is a compact device that’s capable of recording and streaming up to 2K resolution videos at 15 frames per second. This allows you to livestream high-resolution videos smoothly. It also has its own built-in microphone that’s specifically designed for video calls and voice chats. Overall, the Aukey 2K HD camera is an ideal choice if you’re in need of a fully functional camera at a very reasonable price. It features a hassle-free setup by simply clipping it on top of your laptop or PC then plugging it into your device’s USB port. Also, since it’s plug and play, you don’t have to go through the hassles of installing drivers and updating it regularly. 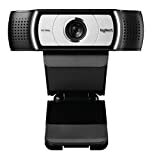 As an upgraded version of the Logitech C922, this one has a lot of features the usual Logitech cameras have, except that they’re upgraded a notch higher. For example, it has an extremely wide field of view at 90-degrees and is plug-and-play so no drivers’ installation or updates are necessary. The C930e allows for crisp and sharp videos and photos, making it a good choice for streaming purposes. Design-wise, the C930e is a chunky camera measuring 3.7 inches from one end to the other. It does resemble Logitech’s C920, except that it’s a combination of both black and silver. It also has a door which you can close whenever you’re not using the camera and also use it to protect the lens. The camera attaches to your laptop or desktop with the use of a clipping arm. Meanwhile, if you want to place it on your desk, you can use the tripod hinge located on its underside instead. Overall, it’s a good choice for a streaming webcam, especially considering that it has an active noise cancellation feature. Known for its ability to support a 3-way video call, the HD 4310 camera from HP also helps you keep all contacts in one storage and allows you to record and stream on Facebook. 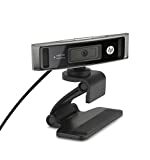 It has a beautiful 1080p sharp video quality and HP Truevision light adjusting feature to give you the best video streaming experience for your video conferences. The HD 4310 features excellent specs and an easy-to-use design. Even though it doesn’t have everything you could ever look for in a premium camera, it’s nonetheless an excellent choice if you need a product that comes with quick framerates, high resolution, and excellent still shooting. Performance-wise, it’s capable of shooting in 1080 at 30 frames per second. As a result, your video will play clearly and smoothly on most screens without the hassles of low framerates. 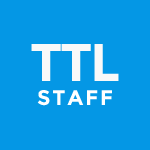 Of course, the quality of your stream is still affected by your internet connection, but if your connection is fast and stable, you should be able to expect a professional-looking streaming. Lifecam has a beautiful glass element lens and an HD video quality at 1080p resolution. It also has a Lifecam TrueColor Technology for lighting up dark places. Lastly, it sports a high fidelity microphone that rivals even some of the best mics for streaming. Although it does feature a 1080p recording resolution, it can only go up to 720p while streaming. Though it’s not that bad, it’s still a far cry from a full 1080p streaming capability. The LifeCam Studio is marketed as a go-to device for businesses, although it’s still a great option if you plan to start streaming on Twitch. The Logitech Brio is full of innovative features that can give you a full streaming experience. Primarily, it’s known for its 4K ultra HD camera that provides amazing quality for conferences or live streaming. In terms of performance, the Logitech BRIO is capable of producing very sharp image quality which can easily get sharper by adding more light to the subject. Also, the sound quality is quite outstanding. Its omnidirectional microphones have an active noise cancellation capability which, in most cases, eliminates the need for a headset for conferencing purposes. Due to its 4K resolution, the BRIO is quite expensive compared to the other products in this list. However, if you have the budget and would like to experience 4K video and sharp photos and videos via HDR functionality, this is for you. 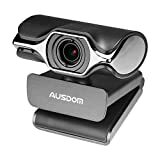 Unlike most webcams, the Ausdom AW620 can work not only with Windows and Mac OSX but also with Chrome OS and Android V5.0. All it takes is a USB port and an internet connection. With its 1080p quality at 30fps and manual focus dial, it is definitely a great camera for gaming and social engagement. Couple that with the best gaming monitor, and you can showcase your game in crystal clear videos. It also has a built-in microphone that’s capable of capturing your voice in rich stereo audio. Lastly, it is designed to be plug and play. As such, you can simply plug it into your device’s USB port without having to worry about any drivers’ installation or updates. The Razer Kiyo has the first ever adjustable ring light for efficiently taking out shadows and keep the balance of light in the video. Combined with a high FPS for both video recording and chatting (1080p 30ps and 720p 60fps respectively), this brand makes itself one of the top cameras for Twitch gamers and game vloggers. It also has an awesome design that looks great with any gaming PC. Basically, the Razer Kiyo is designed with gamers in mind. One of its most notable features is the built-in lighting which helps you maintain a certain level of lighting throughout your streaming session. Although the lighting adjusts itself based on certain conditions, the overall illumination is easily adjustable to suit your preferred setup. It’s also optimized to offer full support on popular platforms like Xsplit and Open Broadcaster Software. Also, since it’s manufactured by one of the most prominent companies in the gaming hardware industry, the Kiyo webcam is fully integrated with other Razer products. 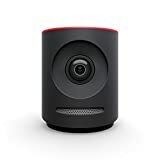 The Mevo Plus is the advanced version of the Mevo camera which was specifically designed for Facebook Live. As an even better and faster version of its predecessor, the Mevo Plus allows you to record in both 1080p and 4K resolution. It also works with Android and supports various other platforms like YouTube and Twitter. With the Mevo Plus, you can skip the whole video editing part because you now have access to live editing tools via your phone. This feature is amazing for Youtubers or travel vloggers who tend to cover events or travel around. It also has an amazing range through its 802.11ac Wifi chip with a MIMO antenna. It’s still quite pricey like the first version though, although you can expect massive improvements that make it reasonable enough to add this camera to your collection, especially if you frequently perform live streams and broadcasts online. If you want to provide a wide range for your gaming videos or vlogs, this is the camera you should buy. It has the widest range of 120 degrees which can cover around 4 or 5 people at once. Aside from gamers and vloggers, offices will also greatly benefit from its wide range, especially during conference calls and Skype meetings that involve a lot of people. The WideCam features a solid image quality along with a durable design. Also, it’s relatively easy to setup and install. Though it’s not the most feature-rich option, its design, specifications, and wide FOV are reasons enough to buy this camera. If you’re an aspiring vlogger, Youtuber, or Twitch gamer looking for a streaming equipment, or a freelancer who deals with offshore clients via video conference, then this list is for you. We compiled some of the best webcams for streaming that you can buy. Take note that we picked these products based on their specifications, quality, pricing, and overall customer reviews. With this guide, hopefully, you can find the right camera for you, especially if you’re planning to become a full-time live streamer or vlogger.